Three American citizens detained in North Korea seem set to be released ahead of a meeting between the two countries’ leaders next month. 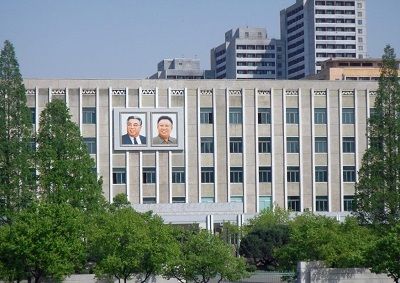 The BBC reported that the three men had been “relocated to a Pyongyang hotel and are receiving good food and medical care”. Kim Dong-chul, a pastor in his early 60s, was arrested in 2015 and sentenced to 10 years’ hard labour after admitting spying for South Korea, which Seoul denied. Tony Kim (also known as Kim Sang-duk) was detained in April 2017 for “committing criminal acts of hostility” against the North Korean government. Kim, in his 50s, had been involved in humanitarian work with orphanages and taught at the Pyongyang University for Science and Technology (PUST), which trains the children of North Korea’s elite and has a volunteer staff that includes many evangelical Christians. Kim Hak Song was arrested two weeks later, in May 2017, as he prepared to leave the country after working for several weeks as a lecturer at PUST. He was arrested on charges of “hostile acts” against the regime. Reuters reported that in 2015, he had posted a message on the website of a Korean-Brazilian church in Sao Paulo, saying “he was a Christian missionary planning to start an experimental farm at PUST and was trying to help the North Korean people learn to become self-sufficient”. In August last year Hyeon Soo Lim, a Korean-Canadian church leader sentenced to life in prison with hard labour, was released “on sick bail”. Detained since February 2015, he was convicted later that year of numerous charges, including an attempt to overthrow the government.